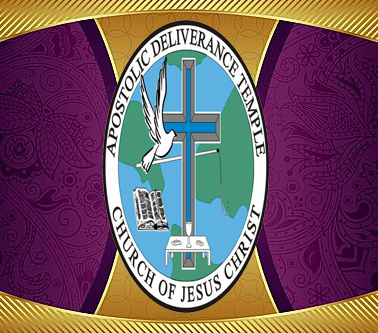 The Apostolic Deliverance Temple Church of Jesus Christ was born on the Bicentennial Sunday, July 4, 1976, in the Lemoyne Garden Auditorium. While most Americans were celebrating the birth of a nation, 27 people and an anointed preacher were celebrating a ministry that would change the world. They gathered under the auspices of this ministry to organize the church. The saints held fast to the spectacular vision that God had given Apostle Perry Maples. It was a vision that would seal them together and take them on a splendid journey to meet the Lord in the air. The very first service was held in the Lemoyne Garden Auditorium where the church worshipped under the anointing of the Holy Ghost. While there were time limits on their services, the saints used their time wisely and had a foot-stomping, tongue-talking, Holy Ghost good time. The church then moved to a former daycare facility where the Holy Ghost continued to fall. Apostle Maples continued to deliver anointed messages that blessed the people of God. After four months of worshipping and praising God, the saints were asked to leave. Undaunted by this obstacle, they returned to Lemoyne Garden Auditorium for Sunday services. The birth of the ADT Sanctuary Choir, presently known as ADT Rapture Ready Choir, had its humble beginnings when weekly choir rehearsals were held in the home of Missionary Ruth Givens. This was also the birth of the Tuesday Night Holy Ghost Services, as the saints prayed for one hour on Tuesday nights. Nothing shook the faith of the saints, nor moved them from the principles, which kept he power of God flowing in their lives. Pentecost became a part of each service, as souls were saved, bodies healed and people delivered, which caused the membership of the Apostolic Deliverance Temple to grow and grow. Then God directed Apostle Maples to purchase a building at 306 South Parkway East. This building was once a building of “ill repute,” but now became one of righteousness, a temple of deliverance and an altar of prayer. With 50 members, Apostle Maples and the saints physically tore down the walls of this synagogue of Satan and changed it into a house of prayer. The devil’s stronghold was destroyed. The saints completed the final renovations before May 27, 1977, just in time for Pentecost Sunday. As God continued to move in miraculous ways, the saints at 306 South Parkway East, became known as “the church under the bridge.” The famous title soon drew many more souls to the church. Many people were saved, delivered and set free. The power of God moved in the church under bridge, as Apostle Maples continued to preach under the anointing of the Holy Ghost. People came from miles around to hear the message of this man who told it like it really was. After hearing God’s word, lives were forever changed. But God was not done yet.